Many writers want the security of a permanent position within a well grounded organization, and freelance online writing jobs offer a starting point for that potential job fit. Having work published and accessible to the masses can lead to job offers on writing staffs or for a conglomerate of businesses. The positive aspect of freelance online writing jobs is they pay while a writer perfects the craft and looks for job openings. This is dependent on the writer having the necessary skills to provide the work needed by the client from the start. The flexible writer has an advantage over others. If you search for jobs in the conventional ways, you will have many expenses involved that you might not be compensated for. If a job interview is in a city far away, you must pay for travel expenses and many companies do not reimburse the costs incurred by the job candidate. Writing jobs from home, while they get your work out to the masses, do not cost you more than you probably are already paying for internet access and your home computer. In fact, you are basically working on your resume while you are getting paid. Not many job opportunities can promise you that. It is important that you receive proper compensation for your work, and you may start with lower earnings than you want. Some paid online writing jobs are based on bidding for the work. When you are just beginning, employers won't know the quality of work to expect from you. It may be necessary for you to take work that pays only a little so that you can have satisfied customers, building your resume and portfolio so you can ask for higher prices later. You will need to remember that your work is only costing you time during periods when your return is low. You must be sure that any writing you do is paying work. If anyone asks you to present them with many pages of writing so they can see your abilities, it may be a case where you are giving your work away for free. Legitimate online writing jobs do not require a volume of samples to land a job. Professional organizations like ProficientWriters.com may want to see samples before they assign you any writing job, but that is necessary to be certain of what they are going to provide to a client. Once you've established your worth, you have the ability to receive as much work as you can reasonably complete while remaining within the required quality guidelines. Online writing jobs, especially freelance online writing jobs are in abundance. After learning where to find an online writing job, you would have opportunities to work as much or as little wanted. Few people in the workplace have the same level of freedom that online writing jobs offer. Along with freedom of hours, freelance online writing jobs provide freedom regarding topic on which to write. With paid online writing jobs, you could choose from many topics, although you want to look for an online writing job qualified to work on. The largest area where jobs are found is with online creative writing jobs. This genre offers the most topics, the largest number of clients, and good pay. Other legitimate freelance writing opportunities exist, some more complex but with better pay. 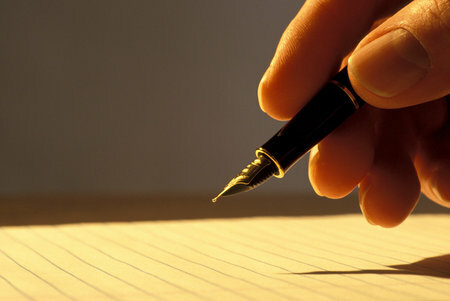 One option for high paying online writing jobs is in the area of online freelance writing jobs. These online writing jobs require more statistical research, meaning they take longer to write. Therefore, professional writers usually charge more. However, you might enjoy online writing jobs in other areas such as online sports writing jobs. In addition to online writing jobs, you could work on online writing editing jobs, which involve both writing, and editing or simply editing another writer’s work. One of the great things about paid writing jobs is that you could work a number of online writing jobs as a novice writer. In this case, the online writing jobs would be small and simple. On the other hand, as a seasoned writer with years of experience, you would have the opportunity to jump into the more advanced type of online writing jobs. Since clients post jobs of all levels, finding work in either case is relatively easy. Choosing online writing jobs also makes it possible to work from home, saving gas money, childcare expenses, being home when the kids get off the bus, or caring for elderly or ill parents. Some people work part time online writing jobs simply as a means of making fun money. For instance, if you were in a position of not working, a few paid writing jobs a month would offer spending money.